Ahh wow, what a lovely afternoon to spend with a lovely couple. 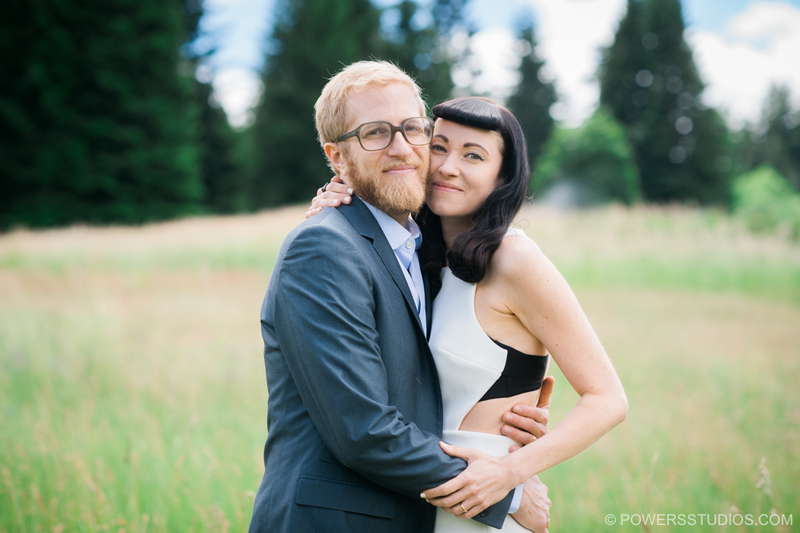 Met up with Sara and Ian to photograph their elopement out at Mt. Hood Bed and Breakfast. It was about as small and intimate a ceremony as physically possible. Just the two of them, their officiant, and myself taking photos. We took some time afterward to take some fun photos all around the grounds of the B&B, which is always a joy to shoot at. Sara and Ian looked great. Sara’s hair was awesome and perfectly matched her dress. I loved it! After photos the two of them prepared and sat down for a beautiful lunch in the gazebo. They will soon be traveling to visit their families in Florida, and then Sweden. They’ll be able to show them these great photos from their perfect sun soaked wedding afternoon.